On the same day that Microsoft announced its new iPad competitive Surface for Windows RT tablet, Apple began airing a new advertisement for the iPad. The ad focuses on the Retina display, displaying tasks that may be enhanced with the higher-resolution screen and is entitled ‘Do It All’. Among the activities shown are sending an email, reading a Newsstand magazine, watching music videos, editing a slide show in Keynote, publishing an iPhoto Journal, painting digitally and reading an iBook. Apple’s iMovie and iBooks textbooks are also featured prominently. The ad doesn’t break from the formula that Apple has set out much, largely rolling along with a narration track. It features the same narrator as the ‘This Good’ ad, which also focused on the Retina display. The iPad-competing RT model of Microsoft’s tablet features a 1366×768 display, while the iPad sits pretty at 2048×1536. 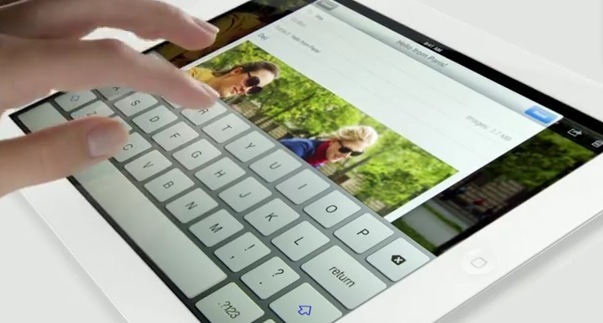 Apple clearly sees the Retina display as the new iPad’s most salient selling point.